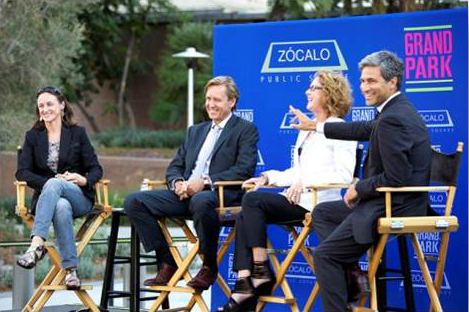 You are here: Home / Family / Activities / Worth The Drive (or the Metro): Free Events at Grand Park in Downtown L.A. If you haven’t had a chance to venture downtown, consider taking a short trip by car or Metro this summer. The restaurant scene is growing daily, while the cultural scene is exploding from Music Center events to the Downtown Art Walk and various museum exhibits. Newest to the landscape is Grand Park, which opened last October and spans 12 acres from The Music Center on the west to City Hall on the east. The Metro Red Line stops at the Civic Center Station which is located in the middle of the park. 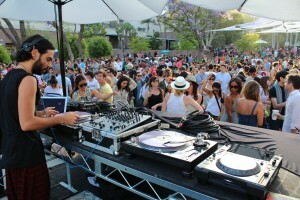 Under the leadership of The Music Center, Grand Park is an outdoor community gathering place that celebrates the cultural vitality of Los Angeles County and is host to FREE community events, including music from both live bands and DJs; a ballet performance under the stars; a movies-in-the park series; a speakers series; and a number of participatory events, including a movie dance-along, group drumming experiences, a boot camp and special activities for families and kids. 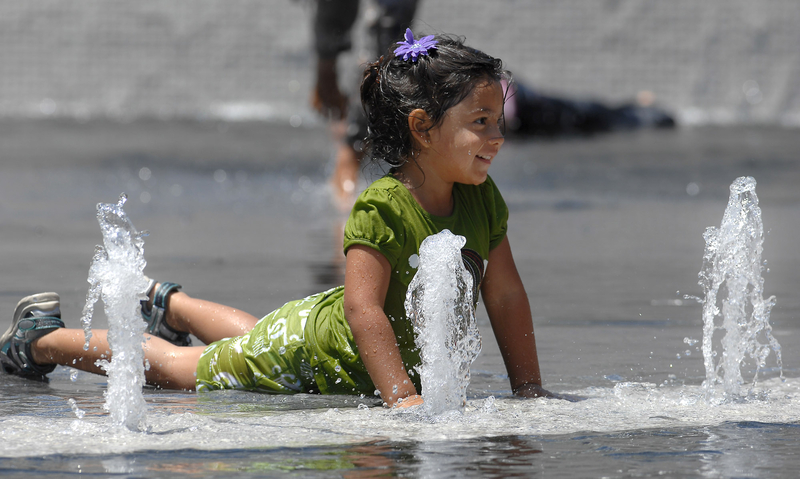 Keep Grand Park’s summer programming line-up handy…..
Sundays: July 28 and August 25, 2 p.m. – 8 p.m. Featuring the soaring sounds and beats of local and international DJs, Grand Park’s Sunday Sessions present the best in electronic music. The free performances are curated by Eduardo Castillo of The Eclectech. Guests can purchase food from food trucks and cocktails from Pattern Bar. Thursdays: Through September 12, 5:30 p.m. – 8 p.m.
Get an early start to the weekend on Thursdays and enjoy warm summer twilight hours after a day in the office. 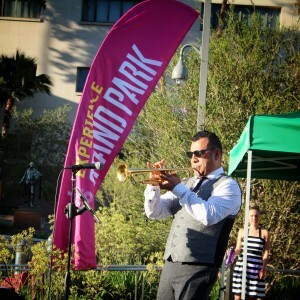 This free concert series features LA-based artists and tastemakers from a broad spectrum of genres from jazz, to indie, to pops, to name a few. Guests will also enjoy food trucks and a beer garden. August 3 and September 7, 10 a.m. – 11:30 a.m. 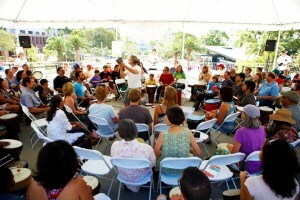 This free do-it-yourself musical activity lets Grand Park visitors make music in the moment as part of an outdoor group drumming experience. All skill levels welcome; drums and other percussion instruments provided. First come, first served with no RSVPs or tickets required. 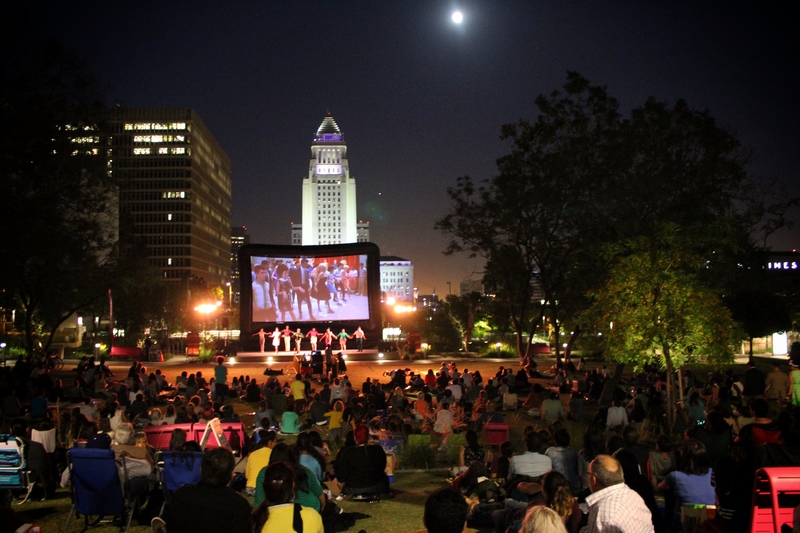 Grand Park partners with Street Food Cinema to provide free screenings of family-friendly (PG-13 and under) movie favorites of the 80s and 90s along with live performances by up-and-coming musical artists. Audiences will also enjoy special guest appearances and food trucks in addition to fun giveaways and audience participation movie-themed competitions. The series kicks off on August 3 with a screening of The Sandlot featuring members of the original cast and crew. Fridays: July 12, August 9, September 6 — 5:30 p.m. – 8:30 p.m.
Saturday, July 27 Time 10 a.m. – 2 p.m.
For the second year in a row, The Music Center partners with The Dizzy Feet Foundation to present the west coast’s flagship free celebration of National Dance Day at Grand Park. 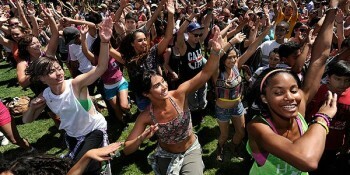 Dancers of all skill levels are invited to participate in hip-hop and jazz dance routines shared online in advance by some of today’s most popular dance choreographers and performers. Additional details will be released soon. Bootcamp is a free and open to all fitness levels. 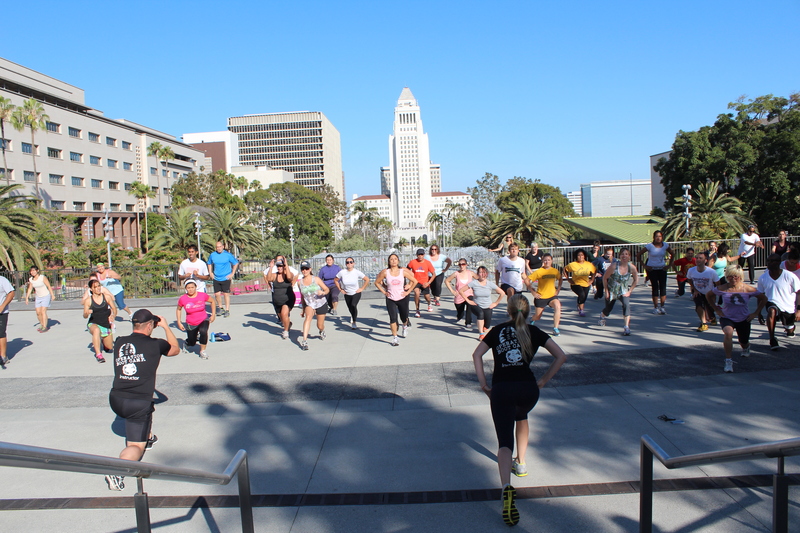 Tuesdays: Through September 10, 5:30 p.m. – 6:30 p.m.
Open to all, this free fitness series is open to all designed for all fitness levels and makes an end-of-day workout accessible and fun. Playing in the Arthur J Will Memorial Fountain. Saturdays: August 3, 10, 17, 24, 31 — 11 a.m.– 2 p.m. Kids and their parents adore Grand Park’s historic Arthur J. Will Memorial Fountain. Now the fountain just got better with kid-friendly activities and special surprises for the young and the young at heart. For more information, go to the Grand Park website. 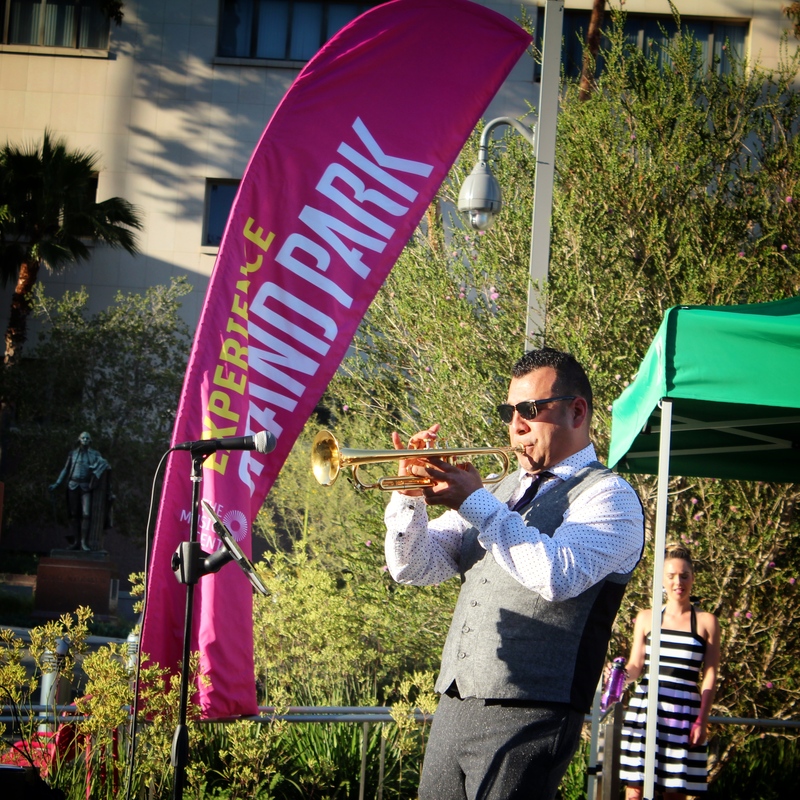 To get to Grand Park by Metro, click here. 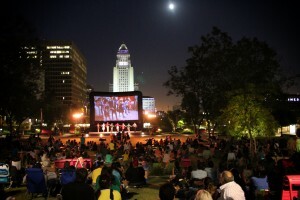 Grand Park is located in Downtown Los Angeles. 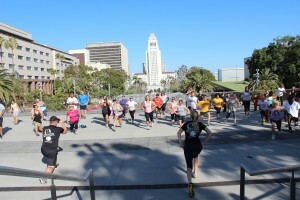 Grand Park stretches from The Music Center on the west to City Hall on the east between First and Temple streets. Parking for Grand Park is available in Lot 10 on N Broadway between First Street and Temple Street. The Lot 10 parking rate is $3.50 per 15 minutes, or $20 maximum per day, and $10 per day for weekends, evenings and special events.